Appearance: The beer is a somewhat clear golden/amber ale. The pour gives off a very carbonated fizziness, like a soda. Light white head that diminishes near immediately. Aroma: Bit of raspberry to start off, hint of lemongrass, grassy alfalfa-esque hops, fairly sweet malt. Taste: The beer starts off with a grassy vibe but then gives off notes of raspberry, lemongrass and a light hoppiness to top it off. Overall Thoughts: Quite carbonated, notes of raspberry here and there but it tries to be a raspberry beer but also a citrusy, carbonated beer at the same time. 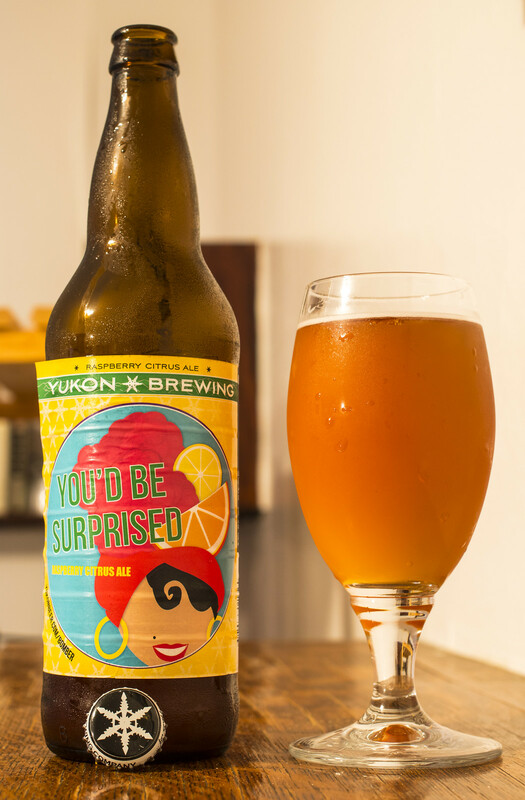 Out of all the beers I've ever had by Yukon, I'm surprised how mediocre it was.